Grammar, spelling, word choice, and page layout all make a difference. And… if you get them wrong, they can make the difference between having the opportunity to make a second impression – or not. With that in mind, scroll down to find real estate copywriting advice via links to a variety of Active Rain posts that will help you get it right. Please do remember that if spelling, grammar, and word choice are simply impossible for you, you either need a partner or an assistant to proofread and correct your work before it goes out into the world. OR… You need a partner, an assistant, or a copywriter like me to create your web pages, your blog posts, your brochures, your postcards, and your prospecting letters. Let’s begin with what I believe is the most important real estate copywriting advice I can give you: The #1 Rule in writing Marketing Copy. If you break this rule you’re finished before you begin. Do Your Visitors Leave Before they Arrive deals with loading time. If it takes too long, people will never see what you have to offer. Don’t turn off prospects with words meant to impress explains the reason why copywriters use simple, basic words. Empty adjectives can make your ads say nothing! Keep stop signs out of your copy! 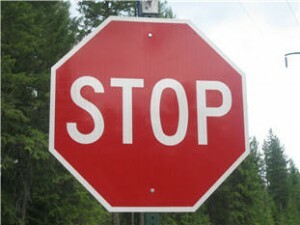 Errors in grammar, spelling, and word choice are like huge stop signs in your copy. They cause people to stop and think about the words – and that’s just what you don’t want. Instead, you want your reader to absorb the message without even noticing your words. What does the best real estate marketing copy look like? Find out here. What is parallel language and why is it important? Do you write our or are? Advice or advise? Prospective or perspective? Who or that? Who or whom? Hugh or huge? I or me? Affect or Effect? Real estate marketing requires persistence and a conscious blending of efforts. Remember to create the best possible website, and then let all of your other materials and activities invite your prospects to your site to learn why you are the agent they need.